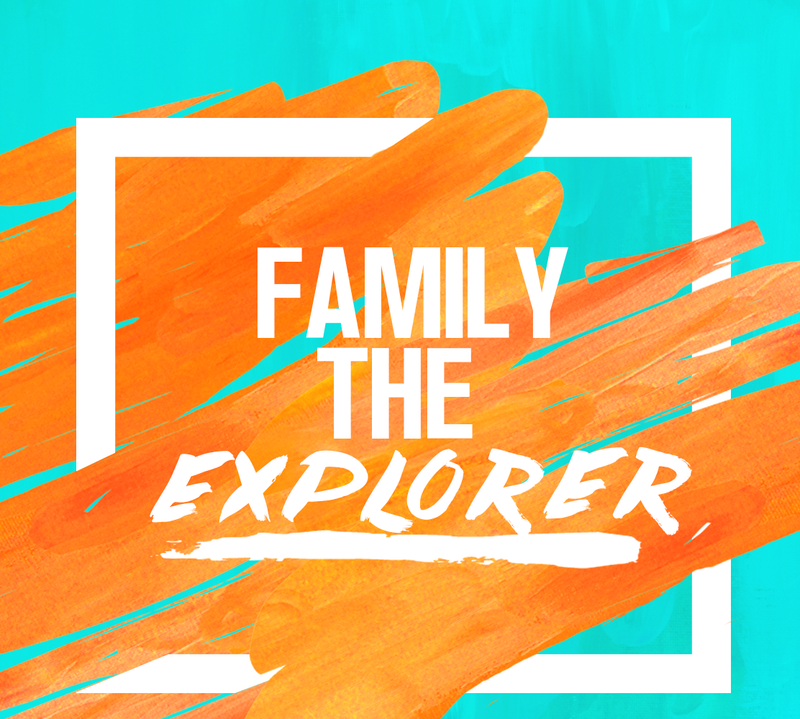 Family The Explorer | All about family adventures, discoveries and goals! All about family adventures, discoveries and goals! Who is crazy enough to not want a pampering massage and refreshing pool dip? City’s life hustle and bustle makes us to crave a relaxation moment every now and then. It is a good stress-relieving activity and a good treat for ourselves. Thanks to Cobone. Because of them, my family and I experienced this one of a kind pleasure. I won a contest on their FB page and as a prize, they gave me credits into my cobone account and redeemed it at Rose Rayhaan By Rotana. Such hotel is in the heart of a busy city yet makes you feel at home, calm and relaxed. It is the second tallest hotel in the world certified by Guinness Book of Records. It is 3 mins away from DIFC ( Dubai International Financial Centre) and a step away at Financial Centre Metro Station, located at Sheik Zayed Road, Dubai. It is a landmark of Arabian hospitality and a benchmark of comfort and style. Bodylines Fitness and Wellness Club – Rose Rayhaan By Rotana, which is the hotel’s recreation area, provides a delightful treatment rooms for massage and skin care. It has separate sauna, steam room and jacuzzi. They also have a beauty salon, fully equipped gym and a temperature-controlled swimming pool for adults and kids. The massage room was breath taking. It has a pleasant aura and comforting scent which adds to the serenity of the room. You can really see how room was perfectly prepared for someone who wants to loosen up for a while. It has all you need to relax and be delighted of awesome massage that you will cherish always. The refreshing pool added the fun and leisure we had when we visited the hotel. The pool location gives an overlooking view of Dubai too. It was indeed a wonderful experience and we will never forget this stunning hotel, Rose Rayhaan by Rotana. familytheexplorer.wordpress.com is not responsible for, and expressly disclaims all liability for, damages of any kind arising out of use, reference to, or reliance on any information contained within the site. While the information contained within the site is periodically updated, no guarantee is given that the information provided in this Web site is correct, complete, and up-to-date. Although blog owner include links providing direct access to other Internet resources, including Web sites, blog owner is not responsible for the accuracy or content of information contained in these sites.The appearance on the Web site of advertisements and product or service information does not constitute an endorsement by familytheexplorer.wordpress.com. This is a personal blog and for information purposes only. Last Friday, we went to Level Kids at City Walk, Dubai. The store had turned 1 and as a part of their month-long celebration, they have various activity stations where children and the rest of family could take delight of until 30th of April. To get started, we purchased coupons first so we could proceed to the station of my toddler’s choice ( each voucher is worth 10 aed). We bought 3 coupons for our toddler. We had fun at 3 activity stations such as the Game Station, Mark your Own Glitter Globe and Glam Station. For every station, you can collect one sticker. Note: There are 7 stations in all which are the Blow out our Birthday Celebration, Games Station, Edible Art Station, Giant Glitter Globe Photo OP, Photo Booth, Glam Station and Make your own Glitter Globe. We had so much fun at Level Kids. There is also a FREE Legoland Dubai Building for everyone which is also valid until 29th of April. My husband and I loves to imagine that someday, together with our toddler, we can stay in a 5-star hotel and prestigious resort where we can bond as a family and absolutely have it for free. We did not expect that this wishful thinking of ours turned into a big reality. Yes, it was all for FREE. Why? Thanks to my husband’s knowledge of music world, he won a contest from Channel 4 radio competition. As a prize, he was entitled for a one-night stay at Doubletree by Hilton Resort and Spa Marjan Island with brunch, breakfast and a late check-out for 2 (that counts our toddler of course :)). What a prize indeed! The reservation team gladly accommodated us and placed our check-in date within the Easter celebration. We are welcomed by staffs when we arrived at the venue and treated with refreshing complimentary drinks and yummy chocolate cookies. Right from the reception, we headed to the Brasserie restaurant which we took our weekender Island Brunch- Maldives package which is worth 270 AED each! We got more excited when we saw the table that was exclusively reserved for us. We were so amazed on the wide menu with some classic European dishes, innovative mixes and some general great home-style food as well as refreshing beverages. After the brunch, we proceeded to the Kids Club while waiting for the room to be ready for us to check-in. My son really knew what he will going to do at such area. Inside there is a pool for little ones and dry-play equipments. Children can enjoy the amenities and toys inside the Kids Club room. Child below 16 needs to be with their parents/ guardians. The staffs were so friendly and approachable. No wonder the kids were really enjoying some drawing activities, playing some computer games and soft-play. At that day, staffs gave some The Boss Baby goodies for kiddos. It was really fun! At about 4pm, we were guided and fetched by housekeeping staff to our room which is situated in the Bay Class. We just added few bucks to have such privilege. It has an access to infinity pool, eforea Spa ( for ladies only) which has sauna, steam room and pool which are are all exclusive for Bay Class holders only. The room was perfect. We are located in the sea view and infinity pool view. It was breath-taking! We explored the Pirate Boat Aqua Zone first so our toddler can explore and enjoy the rest of the afternoon and we headed to the beach and infinity pool afterwards. The place is superb. It is just like a paradise on earth. It really makes you relax from the urban stress and city life’s hustle and bustle. On the next day, we had our sumptuous breakfast in Bay Club Restaurant. It has wide varieties of food with lots of style and theme that everyone can enjoy. We really ate “like a king” at that time and we are absolutely full. 🙂 It was the most amazing breakfast I had ever since! Doubletree by Hilton Resort and Spa Marjan Island is definitely a one-stop place if you want to relax, enjoy and be pampered. The staffs are so approachable and will really guide you on the whole spot. They have lots of offers for you to choose that will surely you and the rest of your family and friends could take delight of. Below is the location and contact numbers of the Doubletree by Hilton Resort and Spa Marjan Island for your quick reference or simply click here to check their website. Cheers! For almost three years stay of our family here in UAE, I saw a lot of wonderful spots, attractions and activities that your family can enjoy especially the little ones. One of these awesome venues which caught my attention is the Splash Pad Dubai. I liked and followed their page in FB last year to gain some more information about it and I was really planning to bring our toddler there one of these days. Unexpectedly while I am browsing my newsfeed, Splash Pad Fb page did a contest celebrating International Happiness Day. The competition is all about asking your little munckin on what makes them happy and share their incredibly funny and heart-warming answers in the comments section below on the main post to win a full day pass for your little ones this year. Luckily, a message from Splash Pad Dubai telling me that I won, popped in. I was really waiting for the winner announcement for many days and I am so happy my son won a full day pass and that’s including us, his parents. I can’t contain my excitement for us to go at Splash Pad, which is located at THE BEACH Dubai – opposite JBR Dubai, United Arab Emirates. As parents, we want our little one to enjoy and have fun. Our toddler enjoyed a lot on the prize we won. As we all know, summer is all around the corner and when you mention about summer heat in UAE, it is really indeed hot. But thanks to the convenient setting of the Splash Pad Dubai, sun burn and too much sun exposure is absolutely not worrying moms like me. 🙂 It is definitely a refreshing splash park for toddlers and kids that offers an array of activities from fountains, tipper bucket and water squirters alongside climbing frames, Imagination PlaygroundTM Blocks and high quality play equipment. With varieties of refreshments and amenities available on site to match the experience, Splash Pad also offers the convenience of private changing facilities and a safe and welcoming environment with professionally trained staff. And they are all accommodating and approachable. You can also see and buy selection of products such as swim wears and accessories in case you missed to bring such stuffs. Splash Pad also accepts special celebrations/ occasions such as Exciting Birthday Packages and group bookings which are available on request. On that day, we witness one of their birthday setting. It is indeed wonderful to celebrate special occasions of your little in this amazing spot. You can contact customerservice@meraas.ae for more info. Splash Pad is a one-stop-venue for your little ones. It provides safe and enjoyable environment that your kids will enjoy as so as you. Summer is indeed fun and memorable with their fabulous setting and offers. Age Limit: Kids are welcome from 1-12yrs. Toddlers below the age of 4yrs must be accompanied by an adult. 4yrs + can be left under the supervision of our professional trained staff. AquaFIT is the first fitness center in UAE dedicated for individual spa-biking, a fitness revolution that is taking the world by storm. Each session is equivalent to a 30-minute exercise as well as relaxation and pampering. And each session is usually enjoyed in the total comfort and privacy of an individualized room which is equipped with a Flat Screen TV, Tablet, Headset and removable walls for duo sessions if you desired. In my first session, I chose to watch Netflix series and enjoy the 6th episode of Santa Clarita Diet starred by my favorite actress Drew Barrymore. 🙂 It depends on your choice on how to enjoy your aqua bike- moment more. Transformation of Lower Body: The best way to shape thighs, buttocks, legs and calves is through underwater exercise. The hydro-massage jets help in lymphatic circulation that in turn helps in draining of adipose tissues. Cellulite Elimination: The combination of 16 hydro massage jets that target specific areas along with the hydrostatic resistance of pedalling underwater , leads too the breakage and draining of cellulites in a revolutionary new way. Natural Work out preserves blood vessels– unlike other methods that use external heat and pressure, often resulting in the breakage of blood vessels, Aqua-Fit relies on the heat generated by the body during the work out to dislodge cellulite. this makes it the safest and most natural way to get rid of cellulite. Fat Tissue Replacement– Because of the higher resistance provided by water as compared with air, the muscles have to work considerably harder within the span of the work out session. This not only helps in burning 500 – 700 calories in 30 minutes, but also results in the rapid conversion of fat tissues to muscle tissues. Skin Rejuvenation– The power of hydrojets gives a micro-peeling effect resulting in newer, firmer skin. Rehabilitation– Aqua-Fit was originally invented for rehabilitation and treat specific conditions such as: Muscular Atrophy, Osteo-Articular Problems and degenerative and inflammatory conditions. Exercise and Relax– Aqua-Fit exercise sessions are usually enjoyed in the total comfort and provacy of an individualized room equipped with a Flat Screen TV, Tablet, Headset, disposable shorts and shoes and removable walls for duo sessions with a friend if one desires. Chromotheraphy– The relaxing properties of chromotheraphy are well knows to promote vitality (Red), calming colour for relaxation (Blue), Yellow stimulates mental ability and concentration and Green increases sensitivity and compassion. What an amazing health benefits are they! During my first session, I was happily assisted by Ms. Sharmaine in my private room. Each room has complimentary towel, shoes, toiletries, vanity kit and water. It was on March 23, 2017 when I received a message from Motiongate Dubai official Facebook Page that my entry won and we will going to have free passes for the Smurfs Movie Premiere and absolute free access of the whole Motiongate park. The contest was all about sharing a picture of your little one. I shared my son’s picture with a capture, My Jokey Smurf and Handy Smurf. I am thankful my son’s pic caught the their attention and it was the gateway for us to enjoy the park at the fullest. The Motiongate park, together with the Bollywoods Park, Legoland and Riverland composed the Dubai Parks and Resort. And it is located at Sheik Zayed Rd,Opp Palm Jebel Ali – Dubai. Motiongate is a huge park. It has amazing attractions composed of 5 zones which are the Studio Central, Columbia Pictures, Dreamworks, Lionsgate and Smurfs Village. All zones have wide selection of rides ( from children’s ride to extreme rides), play are for all especially for little ones, motion simulators and amazing shows that surely all family members can enjoy. I was browsing Fb newsfeed back early February this year when suddenly a competition post from Pan Emirates popped in. The contest is all about nominating the special woman of your life as a celebration of Valentines Day. Eventually, my husband saw such contest post too and he indeed nominated me. The page mentioned that in order to win the contest, the winner should have the maximum likes in his/ her entry/comment. The dresser from Pan Emirates FB post is worth 1795 DHS. Undeniably, a lot of people entered the contest. It was our first time to join contest like this where you need to ask people to like your entry. Yes, It was not easy but thanks to our family and friends who supported us along the way. Fortunately, we won and it was really all worth it.